I have many quirks when it comes to language usage in general, and I have certain ones pertaining to book reviews, too. I am guessing many here have their quirks (and peeves), too. One for me is that I become irritated when I see the phrase "put the book down" to mean "quit the book." Don't we all put books down in the course of reading them? To use the bathroom, make a meal, go to our jobs? Are these reviewers people who read every book in one sitting without ever taking a break? Why not just write, "I quit/abandoned the book?" "I took a DNF (did not finish)?" 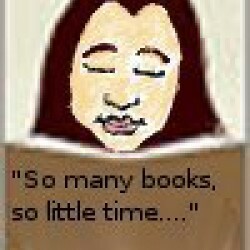 So, what are your quirks/peeves in book reviews?